This blog post contains several questions, to which I hope you can help me find the answer. Automation assists in such a way that we will no longer need to do menial and dangerous jobs, so that we can place our focus on the things that really matter – a chance to be more fully human towards each other. 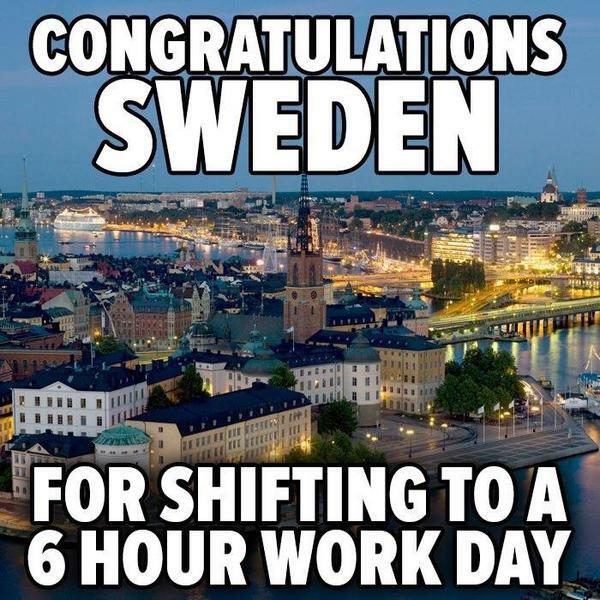 The Swedes have recently introduced their 6-hour work day standard. Sweden is highly-advanced in engineering industrialized applications, robotics, and automated manufacturing technology as evidenced by highly-successful Swedish companies like IKEA, Alfa Laval, and Ericsson, to name but a few. The implication of this is an advanced economy which now enables the Swedish population to dedicate more time to their family, friends, self-improvement and spiritual well-being. By and large, this allows the opportunity to introspectively rediscover how to be a better human being towards one another. Sweden has recently shifted to a 6-hour work day standard with the goal of increasing productivity in the workplace and their quality of life. The current wave of global power struggles and conflicts tend to suggest that we are slowly losing touch with our own humanity due to the greed of power and money. Would Greed and conflicting Egos become the ultimate Weapons of Mass Destruction which will successively wipe all of us off the face of this planet? Consider the old adage, “Money is the root of all evil“. Ironically, most of us need enough of it to survive and live comfortably. An interesting question here would be: Can the advancing automation technology provide surplus for everyone in the entire world so that money eventually becomes obsolete? Even if money is here to stay, shouldn’t it be used to feed the poor and provide free education for all instead of continually being used to manufacture military-grade weapons? 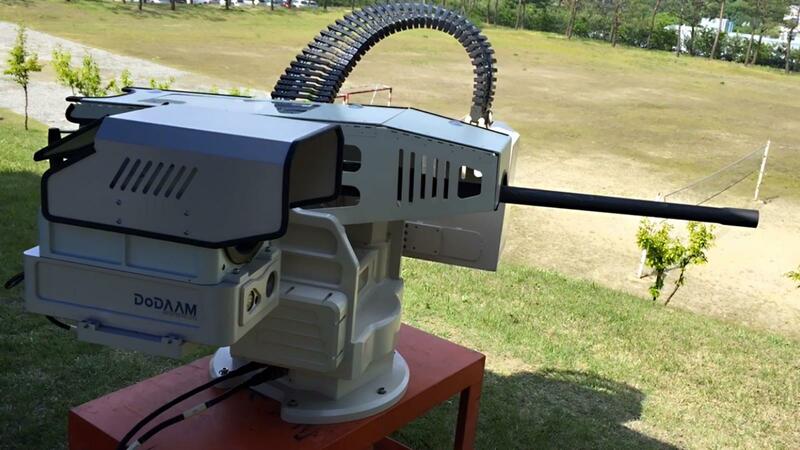 The South Korean military has even deployed autonomous robot gun turrets that can detect and lock onto human targets from kilometres away, day or night! We are seeing what appears to be a self-destructive pattern here. Shouldn’t we stop the insanity by deciding to collectively live an eco-conscious and partnership-oriented lifestyle? Perhaps the only way we are going to survive as a human species is if we are all willing to put our ego aside and learn to share. We have to be willing to seize the opportunity to understand each other better emotionally. Maybe then everyone could work together to figure out how best to save the world in time before we blow ourselves up into oblivion and extinction. By placing aside Greed, Anger, and Hate, we could deliberately focus on using our powers of imagination to create innovations that help our fellow human being, animals, plants and the entire natural reality in which we all reside. Who says a Utopia isn’t possible? It starts within the mind, heart and soul after all. This entry was posted in News and tagged b4 network, industrial automation, industrial automation network on 8 October 2015 by b4network. Where is automation technology bringing us? We hear buzzwords like Industry 4.0 and the Internet of Things being flung around in the industrial automation world quite recently. Moore’s Law states that the processing power for computers will double every two years. The evidence is all around us, both in consumer and industrial technology. Seeing how things are going on the technological front, smart, connected products ultimately can function with complete autonomy. Human operators merely monitor performance or watch over the fleet or the system, rather than over individual units. Nevertheless, perhaps we have not taken notice that it may be leading to the destruction of the very institution which provides its fuel, capitalism. Technology has been such an incredible success in maintaining this exponential growth that we hardly noticed the harm done to the planet or to our global human capital. Therefore, will we witness the period when robots and automation will replace everything we do? The future of the human workforce comes into consideration. In the capitalist industrial world, one of the main reasons manufacturing businesses are very keen on automation is to reduce costs. With the increasing application of automation in manufacturing processes, a huge portion of these costs are lowered by the consequent reduction of the labor force. However, curbing costs would not be so feasible if the number of jobs – and income – is drastically and ultimately reduced. According to Robert Reich, former US Secretary of Labor, “Technological change provides us with great benefits, but requires fewer and fewer people to actually do the work. The robots are going to do more and more. We’ve got to seriously think about how we widen the circle of prosperity, how we get shared prosperity.” He summed it up well by adding, “Otherwise, who’s going to be the customer?” There will be a feedback mechanism at work here, and it will be interesting to see what will happen. Perhaps we will need a new economic and educational model to cope with the reduction of human labor and income vs. the surplus production made possible by increased automation. The education system needs to lead the adjustment. Profits from automation should go into providing free education for all. In the economical sense, perhaps we could move away from a scarcity-based capitalist economy and everyone in the world could obtain an Unconditional Basic Income to cover all the basic needs for a decent living. And then with all basic needs being met, humans would possess more free time to pursue their personal interests, and focus on bigger things like a full-scale cleaning up of the environment and making the Earth a better place to live in for a start, inventing more efficient modes of travel, delve deeper into space exploration, or intensive research into curing diseases. Of course, all of this sounds very Utopian to begin with, and it will not come without challenges and disagreements between parties who possess staunch capitalist and socialist points of views, respectively. By and large, the advancement of automation technology and its increasing implementation in manufacturing processes as well as for more complex occupational tasks in the future is inevitable. The increase in automation will, however, lead to the immediate need for more people to be able to install and maintain industrial equipment, as well as more people who will be selling them across the globe just as how business professionals in the industry are currently doing it on B4 Network by connecting with each other. With automation technology becoming more and more sophisticated, the future is exponentially changing. Hopefully humanity will be able to cope with the dramatic rate of change, and that the positive effects will outweigh the negatives. It will be very interesting to see how it will all pan out. This entry was posted in News and tagged b4 network, industrial automation, industrial automation network, network on 23 July 2015 by b4network. Earth, a pale blue dot in the Universe as the late Carl Sagan coined it. It is our home, currently the only sanctuary for the survival of all known terrestrial species of organisms big and small. Today we celebrate Earth Day 2015. It is, however, important for us to keep our planet’s well-being constantly in mind and not just for one particular day. Here’s a thought: Imagine gazing at planet Earth from the moon, and realizing that there is no way for you to return due to a major climate catastrophe of our own doing – making the air completely unbreathable, and the water utterly undrinkable. How would you feel? We now feel the real effects of climate change as the season changes become more drastic, when in the past there used to be a gradual shift instead. If the major world powers do not decide to take binding commitments to reduce carbon dioxide emissions, we inevitably risk irreversible climate change and damaging implications towards our environment for our future generations. In the industrial automation sector, innovations are continually being produced to make manufacturing processes more energy efficient while reducing greenhouse gas emissions and the consumption of fossil fuels. Being professionals in the automation industry, it is important for us to promote cleaner and resource-efficient manufacturing methods and environmentally-friendly industrial equipment in our business. We cannot deny that one side effect of industrialization is its considerable carbon footprint. But things are changing as we continually see efforts by industrial automation product manufacturers to produce innovative resource-saving products. We have the technological capabilities for cleaner industrial production today, and we can look forward to more innovative manufacturing solutions that can better safeguard the environment. We’re all dealing with industrial automation products here on B4 Network. As the manufacturers of the products that we distribute and deal with realize the importance of protecting our planet with more “green technology” in the works, we too should constantly keep in mind as individuals the same kind of protective spirit towards our Mother Nature. Be it travelling around more by bicycle instead of with our cars, or remembering to switch off the lights when we don’t need them, we can all do our part to sustain Earth for the future generations to come. So let us remember to conserve energy whenever we can – by switching off, to switch Earth back on. Without Earth, there would be no other place for us to really call our ‘Home’. Celebrate Earth Day, every day, with B4 Network. This entry was posted in News and tagged earth day, industrial automation, industrial automation business partners, industrial automation network on 22 April 2015 by b4network. This November marks 25 years since the fall of the Berlin Wall. 25 years ago, Germans from both East and West Berlin finally toppled a barrier that separated their nation. 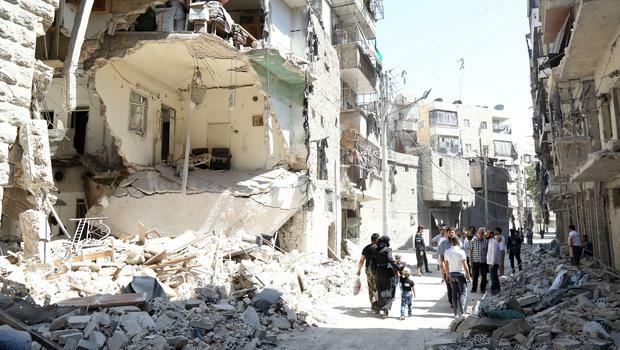 It was a hindrance that constricted the freedom of movement between both sides for more than two decades. Families and lovers that were once separated have been reunited in bittersweet tears, in remorse of all the years and lives lost. At the same time, there was a spark of celebration in the air as everyone came pouring out into the streets at midnight. It was a lot to take in; to be able to take a first look at the other side and to finally know that it is possible to cross over without harm. Finally, Germans all over the country were able to begin experiencing a different life and culture on ‘the other side’, all within the now proudly reunited populace. One can imagine the elation to be enormous. The destruction of the wall eliminated a socio-political, physical, and mental hurdle. The Wall, a hated obstacle to human dignity that it once was, is now no longer there to cast a grim shadow on freedom. This liberation caused a shift of consciousness within the European community, and consequently everywhere around the world. Fast forward to the present, the Information Age in which Web 2.0 is the current platform of basically everything and anything we human beings do in our daily lives today. Boundaries do not mean a thing now as we have technologies like Google Maps that allow one to travel virtually almost anywhere in the world, crossing boundaries with only a few mouse clicks or several touches on a screen. We are all virtually connected to each other personally and commercially via online social networks. B4 Network is one such social network that serves as an industry-specific online portal which connects its members to a world of industrial automation business partners. The B4 Network service is organized in such a way that it allows its members to traverse international boundaries and build business relationships with their industrial automation business counterparts all over the globe. We at B4 Network aim to help you destroy ‘walls’, barriers that your business is likely to face in this very competitive and globalized commercial evolution. In effect, the B4 Network facilitates the exchange of interesting commercial information in the industrial automation industry between its members. A world of industrial automation business partners are waiting to interact with you. Sign up and use the B4 Network for free now at www.b4-network.com . Let’s break down the wall together! This entry was posted in News and tagged b4 network, berlin wall, industrial automation, industrial automation business partners, industrial automation network on 7 November 2014 by b4network.